Welcome to the campaign site for John Duthie, candidate and member of Dignity Party SA. The official website of Dignity Party is here. John contested the seat of Torrens in the South Australian election on Saturday 17 March 2018. 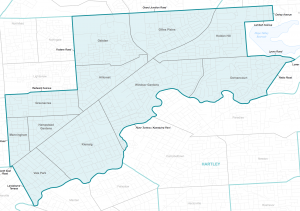 Torrens includes the suburbs of Greenacres, Hampstead Gardens, Vale Park, Klemzig, Hillcrest, Oakden, Manningham, Windsor Gardens, Dernancourt, Holden Hill and Gilles Plains. John has lived in Gilles Plains with his children, Jasmine and Ben, and various cats for over 20 years. 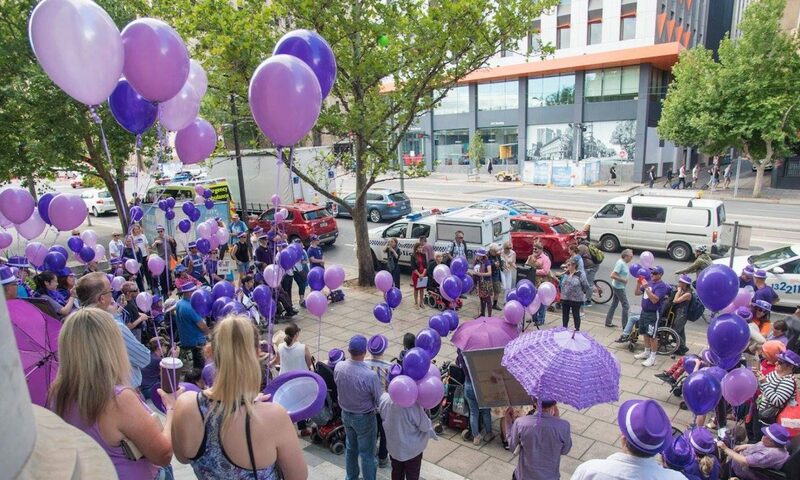 1 in 5 Australians have a disability, and it is vital that Dignity Party, via our leader Kelly Vincent, has a voice in the South Australian Parliament. 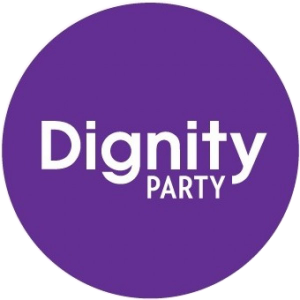 Please scroll down to view information about Dignity Party, John’s Campaign, and the Campaign Blog. Read more about John here, or contact him here. Read about John’s campaign experience. 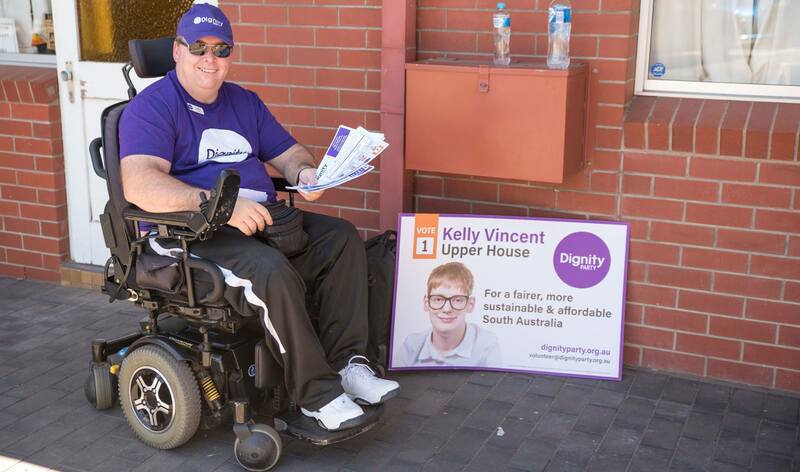 Kelly Vincent is the leader of Dignity Party and was elected in 2010 at the South Australian elections. She held the eleventh and last seat in the Legislative Council for an eight-year term. Before the vote, Paul Collier was listed first on the party’s ticket for the upper house and passed away due to a brain haemorrhage. Kelly was listed second and received all of the preferences from Paul, and became the leader of the party at age 21. Her age makes Kelly the youngest person to be elected to parliament in Australia. 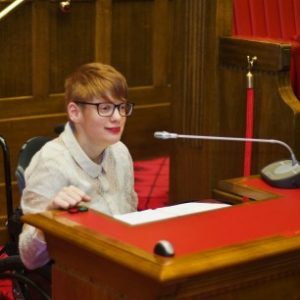 As Kelly has a disability and uses a wheelchair, Parliament House underwent modifications including ramps and an accessible toilet. 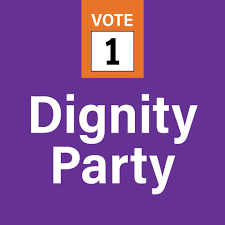 Dignity Party is a political party in South Australia. It originated in 2004 when a group of parents established Dignity for Disabled. They wanted an increase in the funding for people with disabilities from the government. The current name of the party was set in 2016, to represent equality in all forms including gender and race. There has been interest from groups in other countries, to establish political parties, similar to Dignity Party, to help marginalised people. This includes a wide range of people including those with a disability, or those treated differently because of their race, age, gender or other reasons. Electricity Costs and Reliability – The cost of electricity is impacting the budgets of most families, as well as the elderly. Just over a year ago South Australia experienced a major blackout. The State and Federal governments need to do more to make power more affordable and to ensure supply is reliable. Transforming Health – Does SA Health really want the best outcome for the health of the people of South Australia, or is there too much focus on minimising the budget? Ticket Scalping – The State Government needs to do more to prevent ticket scalping. Cannabis Oil Law Changes – Jenny Hallam has been producing medication to help sick and dying people and doing it free of charge. The Cannabis Oil has helped many people and now Jenny needs help. On the 4th of January, her house was raided and later charged with “possession and intent to supply a classified drug”. Jenny is a hero, not a criminal. The law needs to change. Dog Parks – Statistics show that 40% of Australian houses have a pet dog, but with backyards decreasing in size dogs are unable to do what they love — run. More dog parks are required. Equality with Online Booking – If you need accessible seating at an event or an accessible hotel room or other requests because you use a wheelchair, you cannot use a website to book. This is a violation of the DDA (Disability Discrimination Act). One of the biggest offenders is Ticketek. John spoke to Peter Greco on Vision Radio and Ali Clarke and David Bevan on ABC Radio about this issue. NRAH Accessibility Issues – The sparkling new Royal Adelaide Hospital has no Changing Places toilet facilities in their plan. Vital to around 14,000 South Australians who need to use this. And the number of accessible carparks has been reduced overall. Funding for Students with a Disability – There are close to 500,000 students with a disability in schools in Australia, and the funding provided by the Federal Government is only enough to cover the education of half this amount. Accessible Parking – Every day the State Government approves 26 parking permits, but are councils keeping up with the demand? And is the State Government preventing the passes from being given to people who rort the government with false claims about their health? And do councils provide sufficient accessible parks? There were many ways to help Dignity Party and John Duthie with his campaign. Handout “how to vote” cards to electors on the day of the election Saturday 17 March 2018. Click here for details. Become a “polling booth captain” (you organise people to hand out the cards for 1 polling booth). Click here for details. The election is over. So what happened? The digital divide between the haves and the have-nots. A Video Blog. Disability Injustices John Duthie has been disabled for over 8 years and knows about the injustices that people with a disability face in life. Dignity Party recorded a video as many of the items on John’s campaign relates to this topic. Contact John Duthie here and visit his personal site here. 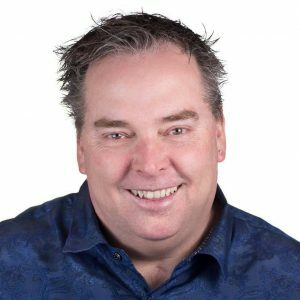 John Duthie was a candidate for the Dignity Party, in the South Australian election on March 17, 2018. He contested the seat of Torrens, and increased the share of the overall vote for Dignity Party in Torrens from 0.4% to 5.9%.